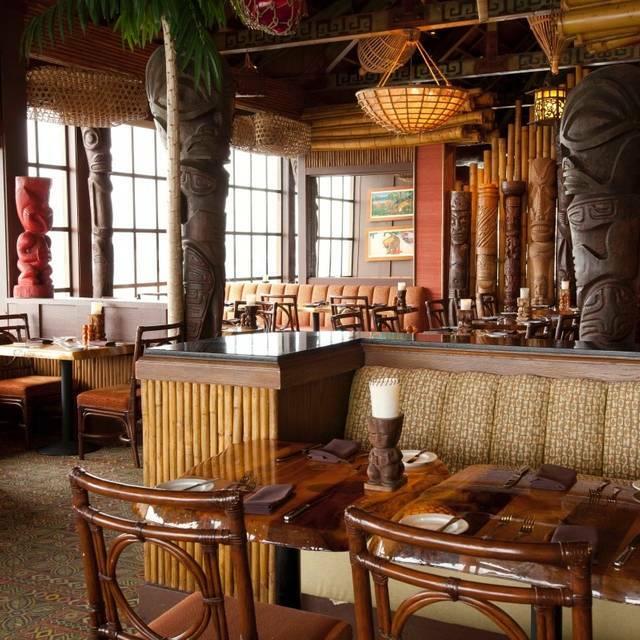 You must make reservations at least 5 minutes in advance of the time at Trader Vic's - Emeryville. Live bands on select weekend. 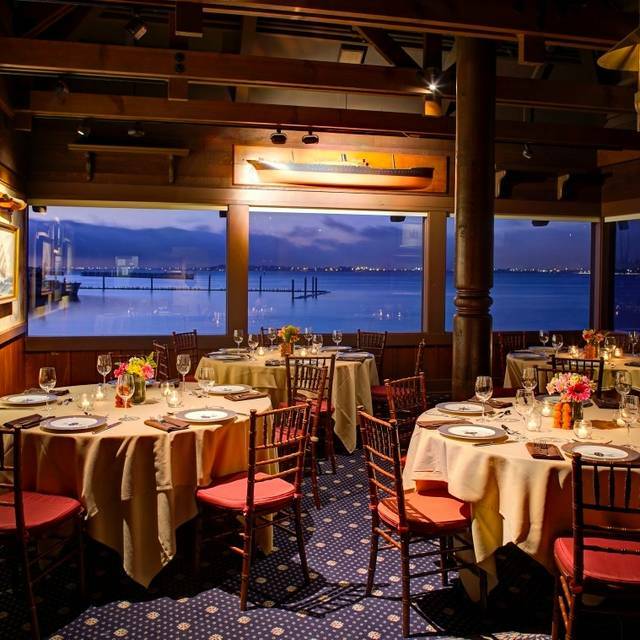 Located along the beautiful Emeryville Marina, Trader Vic's has been hosting every type of event for over 75 years. 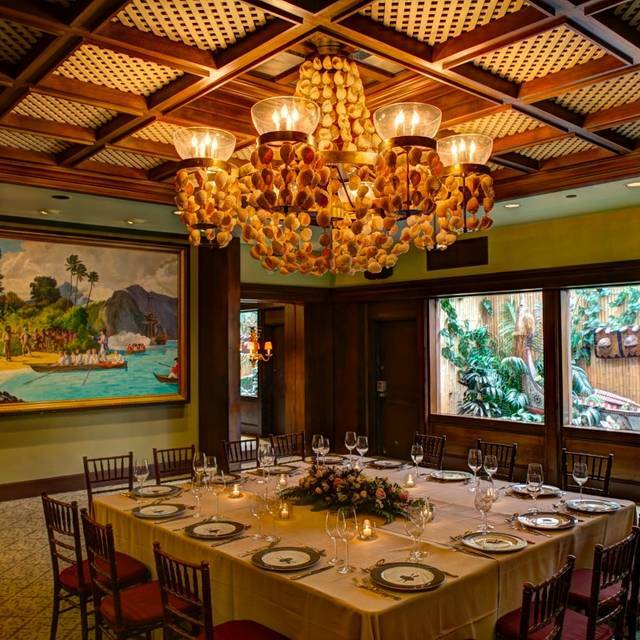 We feature four distinct private dining rooms which can accommodate 6 to 110 guests. 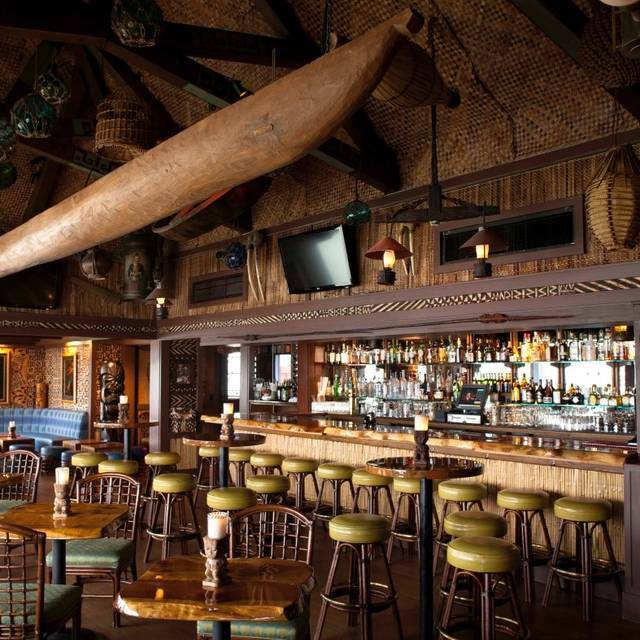 Trader Vic's is also available for buy out events hosting up to 300 people. 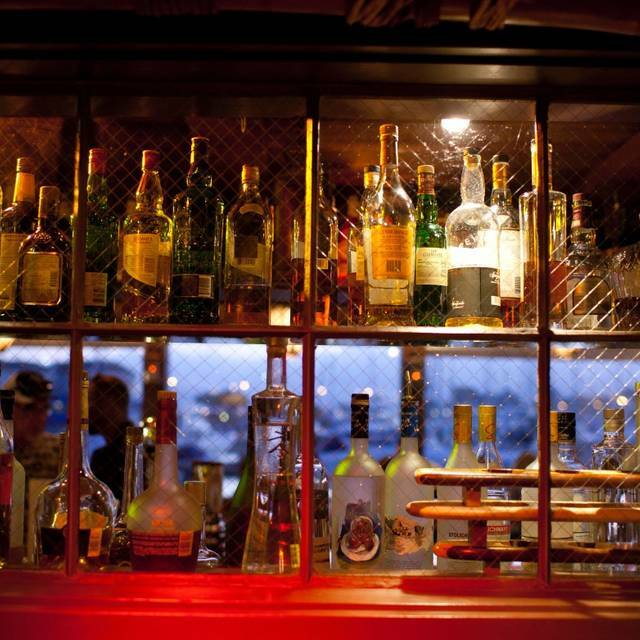 Trader Vic's is “Home of the Original Mai Tai” overlooking the Emeryville Marina with stunning bay view. Enjoy two daily Happy Hours in our bar & lounge. Our lounge menu offers a wide selection of creative small plates, best enjoyed with our well known and unique selection of cocktails. 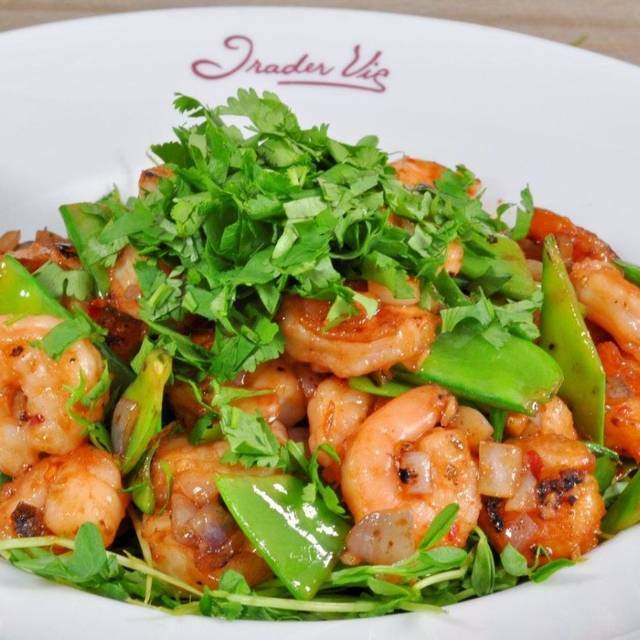 Set on the bay, our dining room offers a blend of traditional Trader Vic’s menu items and globally inspired cuisine. Signature dishes are prepared in our unique wood fired ovens. We offer four private rooms for any occasion accommodating 10 to 250 guests. Join us for our Easter Buffet! 11a-5pm, $69 for adults and $25 for kids, 6 & under eat free! I was very surprised! I had been led to believe Trader Vic's had gone down hill but the service was excellent, lunch was great (I had the chicken salad), and the ambiance as good as ever. Evidently the waitress saw the "happy birthday" bag that was given to our guest of honor and without asking, she brought to the table a huge bowl of delicious ice cream with a candle lit. How is that for thoughtfulness? Arnold Palmer drinks were too sour to drink! It was a little disappointing. Service was Excellent! A fun place, great drinks, good music, wonderful view. Don't bring anyone who uses their cell phone light to read menus or uses a hearing aide - they won't be happy and are just going to ruin it for you and everyone else. 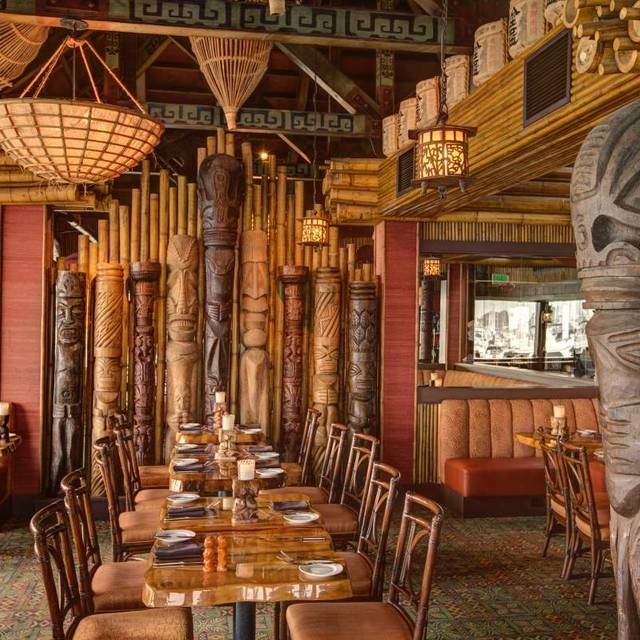 Trader Vic’s was a trip into nostalgia. On that it missed the mark. Loud and brassy. If you are going to recapture the fun and ambience of Cosmo Place, forget it. It’s become an upscale “Asian fusion” noisy place. Food was good, not great. Great food, great service, romantic views. We were lucky and saw someone proposing. She said yes! Food and service was excellent. A little pricy, but very tasty. Great views and atmosphere. Drinks had way too much ice for the price. Only complaint. Felt a little ripped off there. The tradition and reputation was worth repeating. The views of course were phenomenal The employees were all friendly, gracious, and efficient. None of what we ordered was good food. The sampler share plate for $28 was almost inedible. However we loved the history and the decor of bamboo all polished and the paintings in the back rooms of ships were very interesting. Great meal! Fantasic Menu! Very attentive! Great wait staff! Beautiful venue! Awesome service from staff. Good location and views. Food was ok. Looks to be a great drinks place with wide variety and list. Very welcoming the moment we approached the door and were greeted by the hostess/concierge who gave a us a little history of Trader Vic's and remembered from our reservation that it was our anniversary. We had a beautiful table by the window. Our server was friendly, prompt, knowledgeable about the menu and drinks and helped us make great choices for our dinner. It was the perfect evening! Exactly what was promised for a tiki outing. We loved this place. The food was great! The chickpea appetizer was really wonderful. I had the salmon which was lovely. The drinks are one of the highlights, and since we had some people in the group that don't drink, the staff was kind enough to give us water and other drinks in the ceramic tikki mugs. We also had a table by the window on a night with a gorgeous sunset. The staff was particularly lovely and thoughtful. The service was so nice, and never overbearing, while still being there for us whenever we needed anything. This is a great special occasion place. A little retro in a very charming way. Great place for a romantic date, or birthday party, that we had. Great location. Valet only parking was a nice touch. Would definitely dine here again. Trader Vic’s is always great. It was our anniversary. My wife had the NY & I the Ribeye. Started with the Cosmo Tibelets. They also brought a complimentary dessert. I was already going there in the middle 1970’s with my parents & friends. The menu has been shorten down since then but the food still great and great service. Great for a special occasion. Staff were very professional from the Parking Valet to the waitress. Meal choices were varied and fairly priced. The hamburger was good but was served with cheese and bun. To be fair, my dining partner was not clear when ordering that he didn't want those items. The staff responded promptly and replaced the entire plate. My Fish and Chips was excellent. The fish was fresh and cooked appropriately. The batter was crisp and tasty. The chips, tasty. My friend requested sherbet. Apparently the sorbet was frozen. He changed his order but by then, the kitchen staff had continued their efforts to melt the desert and were able produce the item requested. The waitress brought my coffee - and the refills as needed. The decor was a bit faded. In fairness it is a speciality that needs a remake rather than a different environment. The food was great, however, I was bummed to see that the beef short ribs were removed from the menu. We had a wonderful Experience visiting from Medford, Oregon it made our medical visit seem like a vacation. the original is always a classic! Wish we still had a Trader Vic's in LA! We always have a wonderful time! The wait staff is fantastic and the food is yummy! This restaurant is always a good choice. The views are beautiful, the food is excellent and the tropical drinks are made in the well-themed tiki bar inside the restaurant. Like a mini tropical vacation every time we go. Everything you’d expect from the original tiki craze creator. Cheesy in a grand fromage kinda way. Great location/outstanding views backed up by a stellar cocktail list. And yes the Mai Tais live up to their reputation. The decor is straight outta an Elvis Hawaiian vacation movie. The food holds it own, but is nothing worth writing home about. Except perhaps the Crab Rangoon. But it’s not about the food here, nor should it be. Just enjoy it. Everything was great. The drinks were spot on and that food was better than I expected. I’m so glad I finally got to this place. 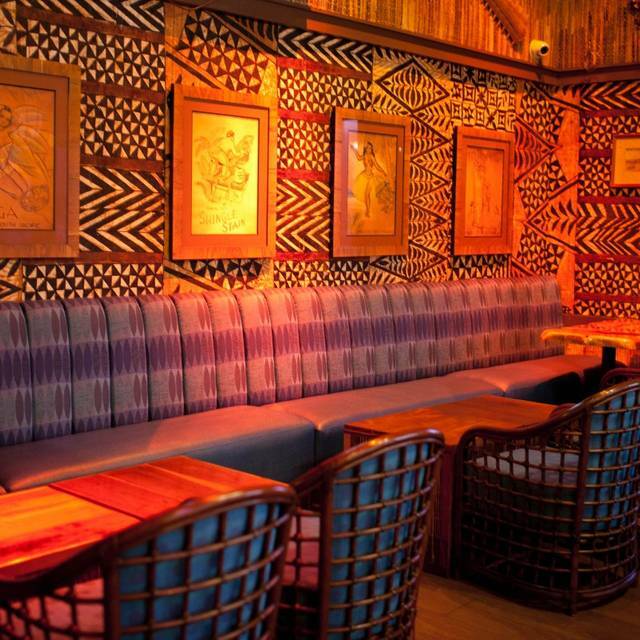 It’s a classic tiki joint that you have to go to! Wow so great to be back at trader vics again. Made reservations last minute and still got a beautiful window seat. My guest from Washington were quite impressed, the food was delicious and the service was beyond compare. Cocktails are delightful and reasonably priced. Food perfect. Can’t beat the wood smoked fish. This is a 45 min to 1 hour drive for me, but completely worth it. Great drinks for the price awesome theme. Lobley view of the water. Absolutely love Trader Vic’s - the tiki cocktails are great, as is the food. The Fried Rice is hands down the best I have ever had, and we just tried their Thai Curry for the first time which was exceptional. 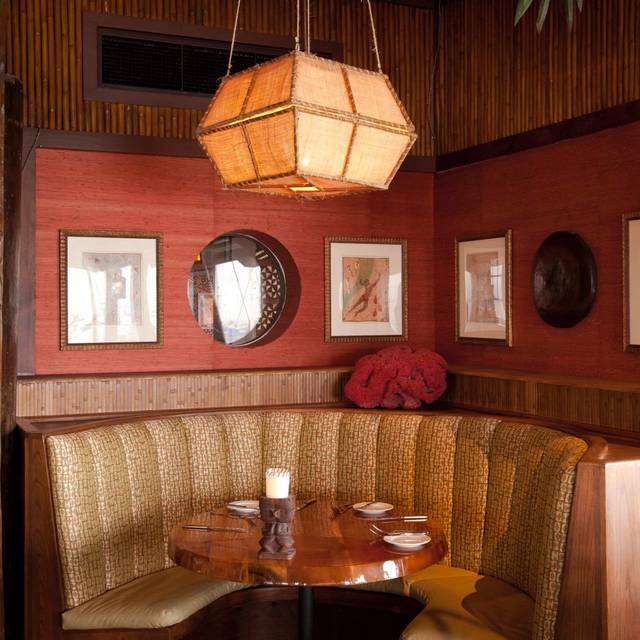 Trader Vic’s takes your right to the islands with its Polynesian ambiance. The food is tasty (a tad overpriced for the amount) and the variety of drinks is delicious. There are none alcoholic versions as well. There was one drink I got that wasn't what I expected, and my server graciously got me a different one! Incredible customer service! Food isn’t the best, given we have some of the best restaurants in the country here, but the atmosphere and and service make up for it. Came for the history and nostalgia, but absolutely loved the atmosphere, theming, service, cocktails and food. This is a great restaurant whether you're interested in "Tiki" bars / restaurants or are just looking for a good meal in a nice setting with a great view. Arrived at 745 and was told the dining room is closed and we must sit in the bar. Manager dictated this move. Open Table reservations were until 9. Service was horrible and we wound up walking out without ordering. Horrible experience and if I owned this restaurant the Manager would be fired. Poor example for the staff, arbitrarily closing the dining room. Ambience is amazing felt like I was on the islands. Delicious food and drinks. Overall really good experience. Food and drinks were very well done. Everyone was happy and satisfied. A small glitch with redeeming multiple gift cards was disappointing.